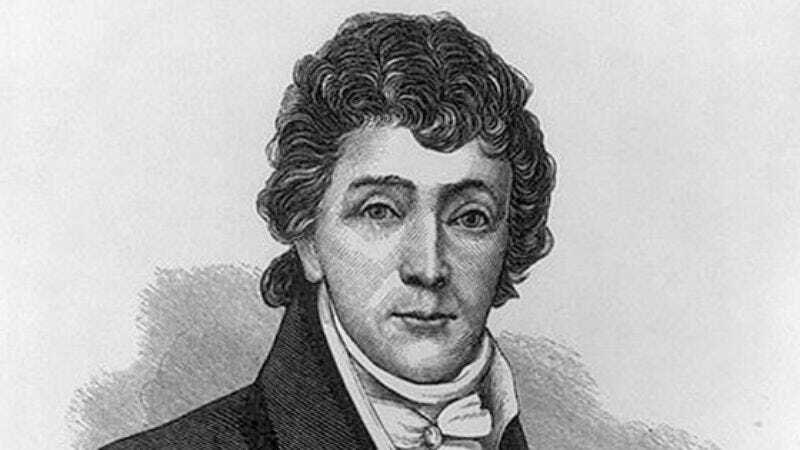 TAMPA BAY, FL—In his first public appearance since his death in 1843, attorney, author, and poet Francis Scott Key announced Wednesday that he would sing "The Star Spangled Banner," which he himself originally penned nearly 200 years ago as the poem "The Defence Of Fort McHenry," prior to Super Bowl XLIII. "I plan to sing it in its entirety with all four stanzas, and to the tune of the British drinking ditty 'The Anacreontic Song,'" Key said as gobbets of desiccated flesh and hanks of hair periodically fell from his yellowed skull. "Thank you, kind sirs, for inviting me to your Superb [sic] Bowl. I relish the opportunity to once again read my work to the worthy landowning men of this great nation." Key attempted to amuse the press by vowing not to muddle up the lyrics, as he had done in a very embarrassing moment before a lawn-bowls match in 1829.